Home attractiveness and appeal play a role in the purchasing of a new home; especially for first time home buyers. A home is a sign of responsibility, accomplishment and success therefore, most homeowners take great pride in making their home look attractive. There are several ways that a home owner can add appeal to their home. Some homeowners may add a pool, porch, fireplace or a landscaped yard to make their home more of an eye catcher. If the homeowner has been involved from the start of the building process, they are able to have a say in how the home is constructed as well as hand pick features such as lighting, cabinetry color, flooring, ventilation installation as well as custom pick the style of the louvered vent that best compliments the look and feel of their home. However, not every home is built by the specific demands of its owner so some changes over time might need to be made to fit the taste and style of the new home owner. A few home repairs might also be needed by the home owner if the home has sat vacant for some time. A few concerns that a new home owner might have or need to have would include the home’s ventilation system. Ventilation is important to the life of a roof as well as to the health of those living in the home. 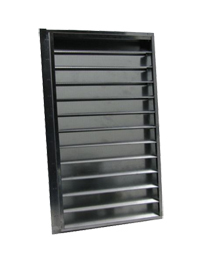 If a louvered vent is not installed properly, home owner will quickly see drastic changes in his or her energy costs. Ventilation maintenance does not have to be costly if caught in time. Some homeowners may need to make small home repairs such as purchasing and installing new vents in and throughout the home. There are several types of vents such as a louvered vent, ridge vent, plastic vents metal vents and the list goes on. The important thing to remember when replacing or purchasing a louvered vent or any type of vent for that matter is that you need to insure a right fit. If a homeowner is concerned about the look their home will have after installing a vent, keep in mind that there are a vast amount of options to help the vent work with the look and feel of your home while providing your home with the fresh airflow that is needed to make life living in the home enjoyable.